During a Q&A with Elijah Wood at SXSW in March, Hereditary director Ari Aster revealed that the first cut of his trauma-inducing horror shocker was a whopping 3 hours long. While we won't be seeing a full Director's Cut when the film arrives on 4K Ultra HD and Blu-ray/DVD on September 4th, we will get a bevy of deleted scenes, 9 total, certain to rattle us to the core. Hereditary is the most impactful horror movie of 2018 and, perhaps, the 21st Century; an instant classic destined to be considered canon and studied for decades. Dubbed "This Generations The Exorcist" by many fans and critics, Aster's film contains echoes of Rosemary's Baby and The Shining. Hereditary, produced for $10M, has already grossed over $75M making it both a critical and financial success; it currently holds an 89% Freshness Rating on Rotten Tomatoes with an average score of 8.2/10. Hereditary is bolstered by knock-out performances form its core cast. Gabriel Byrne offers a muted yet arresting performance as Steve Graham, a husband and father trying to keep his family grounded during a period of unimaginable tragedy. Newcomer Milly Shapiro is instantly iconic as the clucking Charlie, an unusual young teen with a penchant for doodling and decapitating dead animals. Alex Wolff (who also gave an incredible performance in My Friend Dahmer) plays Peter, a young man struggling with incomprehensible guilt. Toni Collette steals the show as Annie Graham, a mother like no other; those lauding her performance as Oscar-worthy are not overstating the caliber of the talents she displays. Here is the official synopsis. 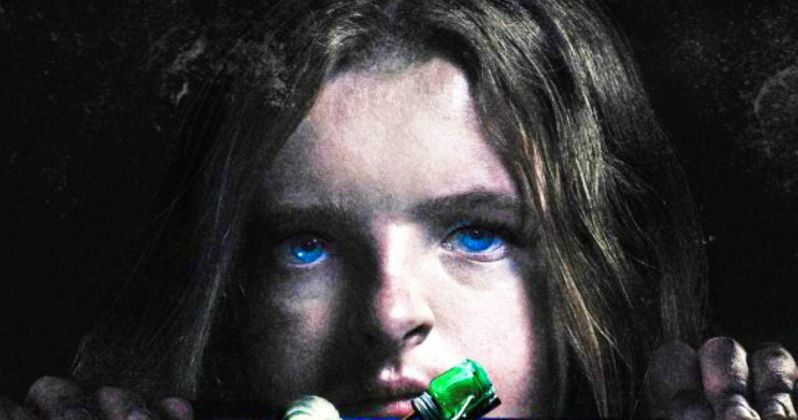 Hereditary is the latest score for A24, a studio gaining a reputation for delivering elevated horror movies that challenge preconceived expectations. Other successful yet divisive films from A24 include The Witch, The Killing of a Sacred Deer, and It Comes at Night. Upcoming projects include Roger Eggers' The Lighthouse and Aster's next film, Midsommar; the later focuses on a grieving young woman who travels to a remote area of Sweden to participate in unusual rituals. We don't have a description of the deleted scenes to be included in the Blu-ray/DVD for Hereditary, nor a list of special features, but we'll keep our ears to the ground in order to bring you additional news as details emerge. Stay tuned! If you have yet to experience the unprecedented terror of Hereditary for yourself yet, check out the trailer. This news first appeared at We Got This Covered.